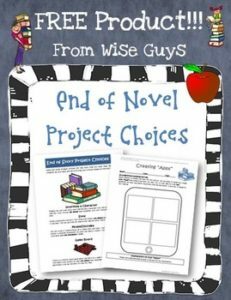 This is a reading document that includes project choices for students when they finish a novel unit, guided reading book, or literature circle activity. It can be easily adapted for any story that your students read. It is a great way to assess comprehension and is fun too! Make sure to check out our Guided Reading Super Bundle that contains over 125 pages of resources that are ready to use with your students! It is one of our top sellers! Visit our store for more great activities.